Wraparound rear glass, signature C-shaped LED lighting, and the bold GMC grille help the 2019 GMC Acadia stand out among midsize SUVs. It comfortably seats up to 7 passengers and provides maximum cargo space of 79 cu. ft. for all your gear. Thanks to the impressive power of the optional 310-hp 3.6L V6 engine, the Acadia can haul up to 4,000 lb. and effortlessly maneuver the backwoods with the available Traction Select System. 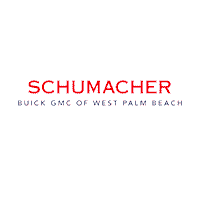 * Test drive the 2019 Acadia today in West Palm Beach, Florida. * When properly equipped with optional 3.6L V6 engine.